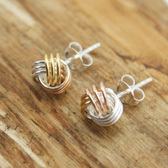 A truly exquisite pair of earrings from RP Designs. 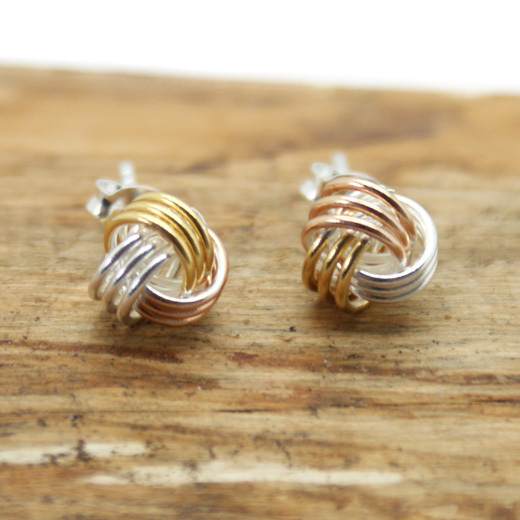 These well made earrings are a fusion of three strands of sterling silver, yellow gold plate and rose gold plate that form an intricate love knott. 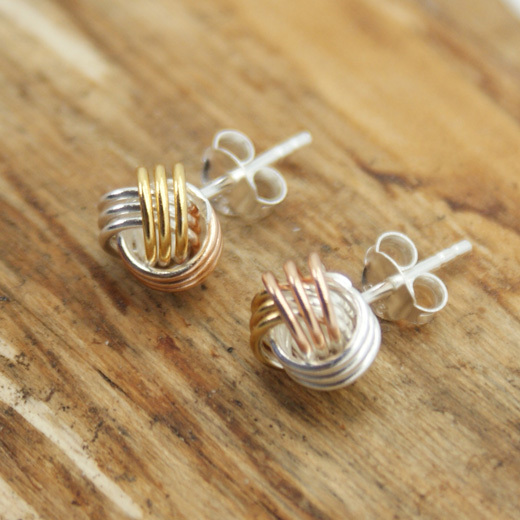 These delicate earrings are polished to a high shine. 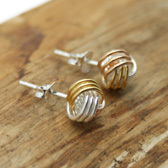 A timeless piece of jewellery, they are a must have item for any jewellery collection and suitable for both day and evening wear. Not exactly what you are looking for? 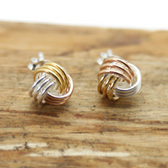 We have a wide range, see the sterling silver earrings gallery for other options.